On Sale! Save $1450 on this one, we've marked it down from $37338. This Audi Q7 has a finely detailed, tech-savvy interior and serious agility making it one of the most competitive luxury crossovers in its class. 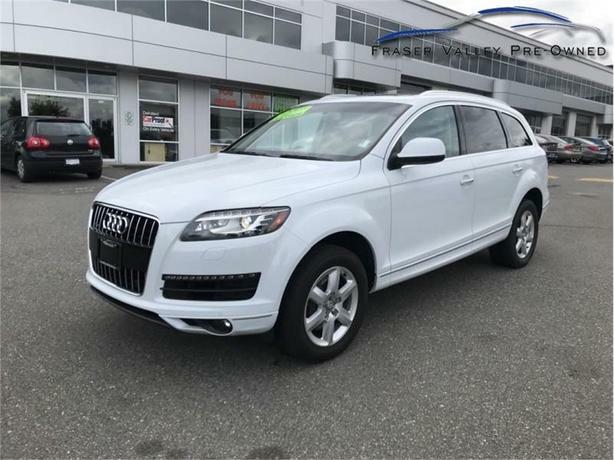 This 2014 Audi Q7 is for sale today in Abbotsford. Buy this vehicle now for the lowest bi-weekly payment of $233.81 with $0 down for 84 months @ 4.99% APR O.A.C. ( Plus applicable taxes - Plus applicable fees ). See dealer for details.